My grandparent’s house was built in the 70’s and it definitely shows. From the awesome driftwood fence and the home-made bbq to ‘Rachel’ the statue/fountain, nothing has been changed in decades. I was definitely feeling like I had traveled back in time while hanging out in the backyard wearing this awesome chevron maxi. If you haven’t figured it out already, I am maxi-obsessed this summer. As mentioned previously, I live in a tiny town with very little shopping. Although I have never found anything there before, I wandered into my locale Maurices recently and fell in love with this dress! Not only is it incredibly comfortable, but I am loving the flattering fit and gorgeous print. I just got an Instagram! awn, lovely maxi dress, & adorable hair-do dear :)! oh my god, you're so thin! That dress is amazing, you look so cute! I love your dress, it's gorgeous! Stunning dress! Love the pattern and colours, divine! Thanks for your comments, it's very nice. The dress is stunning!! Very Missoni-like! Love it! Sweet dress, that print is amazing!! I love how you have taken the shots by the water, they look lovely!! i love your dress!!! so beautiful!! You look so cute! I love your hair up. And the back of that dress is so perfect. Thank you for your comment on my blog dear!! IOf course we can follow each other, I start, wait for you now! This is such a gorgeous dress, it reminds me of Missoni, love the pretty design and lovely mix of colors, your photoshoot is really great! Hi love! U look amazing in this beautiful dress. Thx for following. Gladly follw u too via gfc and blglovin. looking stunning ♥ I'm following you! Gorgeous dress! Love the photos! Following you! wow that dress is amazing! Absolutely stunning on you! So pretty! Love, love that dress! Amazzzzing. i am impressed by your dress. love this dress!! the print is so fun!! 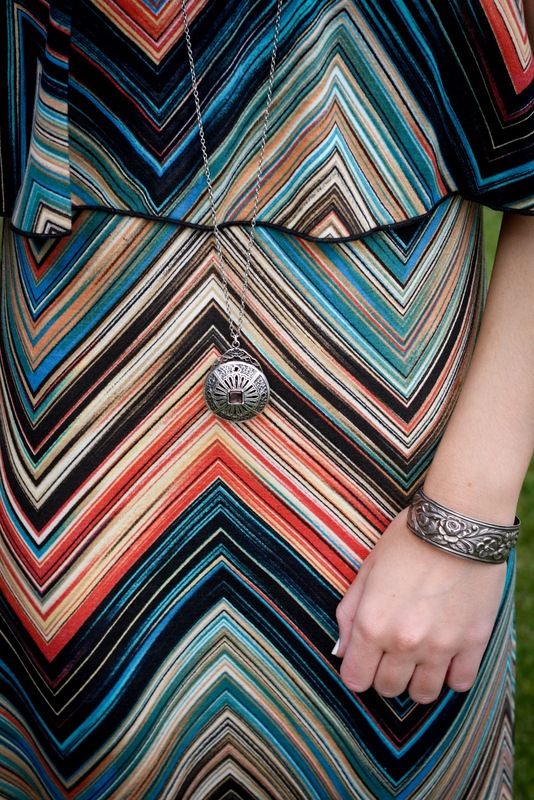 Such a gorgeous chevron maxi!!! It looks great on you! And thanks so much for the blog comment! I am in love with your dress, absolutely stunning!